Accurately sharpen your most common drills in under a minute. 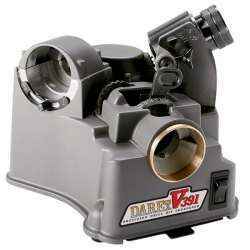 The Darex V391 incorporates some of the same technology used in the more advanced machines and is the perfect choice for workshops that need a high quality sharpener. It’s simple, intuitive design gives everyone access to sharp drills when you need them.